RALEIGH, N.C. (WTVD) -- The unfortunate side of hockey was on display during the 1st period of Game 3 on Monday night, a 5-0 Carolina Hurricanes' victory. At some point Svechnikov left the arena. Who instigated is still out for debate. Not surprisingly, there are differing sides to the story. The two Russian natives had been exchanging shoves, sticks and words since the early stages of Game 1. Brind'Amour said after the game that he was still sick to his stomach about it. 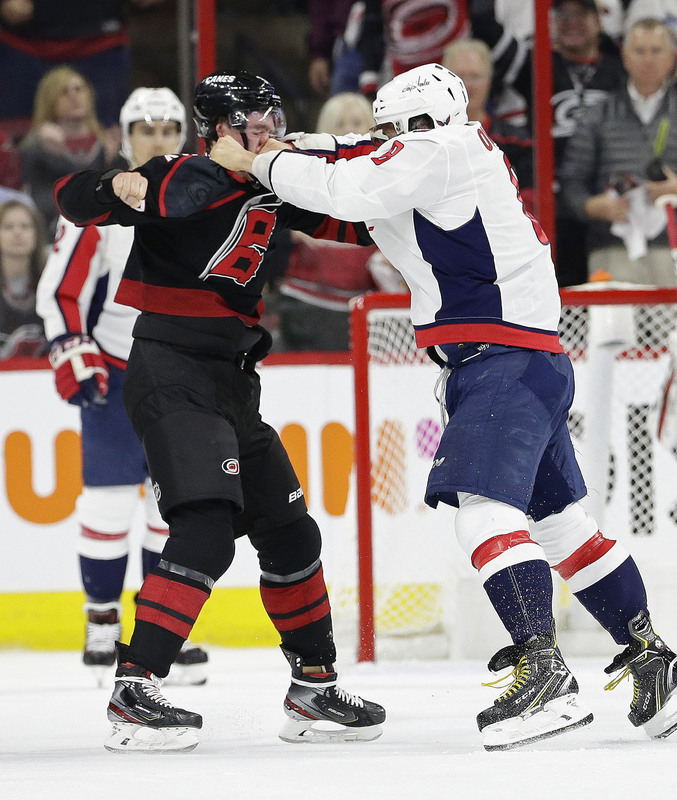 "One's guy's gloves comes off first and that's Ove's, not our guy," Brind'Amour said. "It's his first fight, he's played 90 games. Never fought in his life. I'm pretty sure Ove knew that, so that stuff bothers me." It bothered just about everyone inside PNC including Warren Foegele one of Svechnikov's best friends on the team. "It was an unfortunate incident there. But we stand up for each other. That's our brother and he's one of my best friends," Foegele said. "We needed to get that win not just for him but for us." Jordan Staal summed it up succinctly: "It's an unfortunate play. The kid plays hard and we played for him tonight."